Powering the nation for over a decade, Tenaga Nasional Berhad (TNB) is the largest electricity utility in Malaysia and a leading utility company in Asia with estimated RM110.7 billion worth of assets. Committed to providing service excellence, our Company is listed on the main board of Bursa Malaysia and employs approximately 33,500 staff to serve a customer base of over 8.3 million in Peninsular Malaysia, Sabah & Labuan. Today, TNB continues to lead the effort in fostering economic growth & social development in the country. 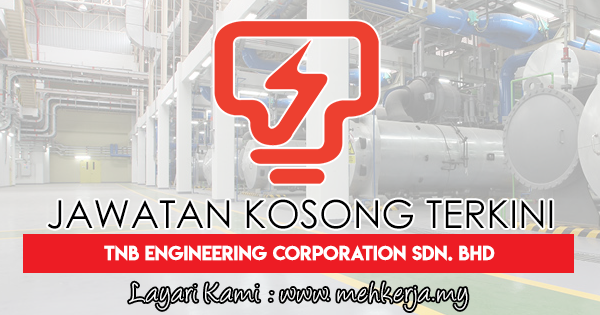 0 Response to "Jawatan Kosong Terkini di TNB Engineering Corporation Sdn. Bhd - 19 September 2018"